Working so hard, day after day, with that burning desire to make a greater impact and get paid generously for it. I see you struggling with technology and knowing there’s an easier way. And I see you wanting to be in control, longing to be empowered and being able to infuse everything you do with your own energy. 18 years ago, I was Marketing Director for a conservation organisation in California. We had a website, but our agency charged us a lot of money for every update we needed. 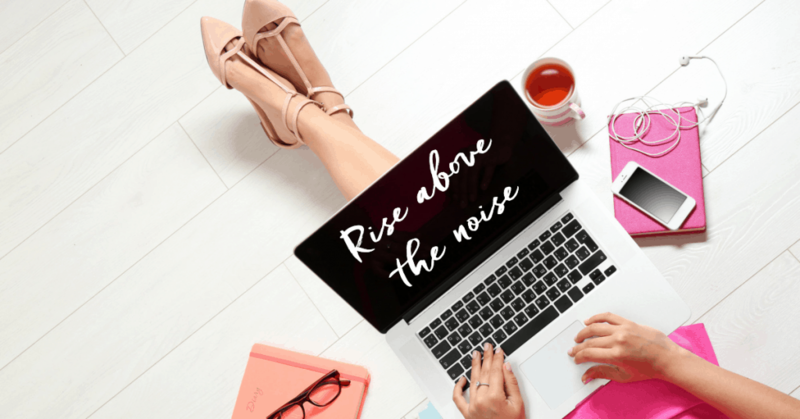 A complete technophobe, the idea of managing our site myself was daunting, but I taught myself code and the day I successfully made the first changes to our site, we realised we had liberated ourselves from being reliant on anyone else. That was in 2002, when websites were still something of a novelty. And 17 years later, I’m teaching coaches and therapists just like you to empower yourselves in the same way. And you don’t have to touch a single line of code! I’m going to be really straight with you. Building a website isn’t necessarily hard. In fact, with the tools we have at our fingertips now, there has never been a better time to build your own website. The difficulty is building a site which actually brings you clients. And one which helps you rise above the noise in the online space. And these are skills which as entrepreneurs, most of us don’t have. Most graphic designers, IT gurus and brother-in-laws (!) don’t have them either. I teach coaches and change-makers just like you to step out of their comfort zone and create a website which is fully in alignment with their purpose and their beliefs. Which they can change at any time. I have been truly amazed at the end result of working through The WordPress Success Bootcamp. 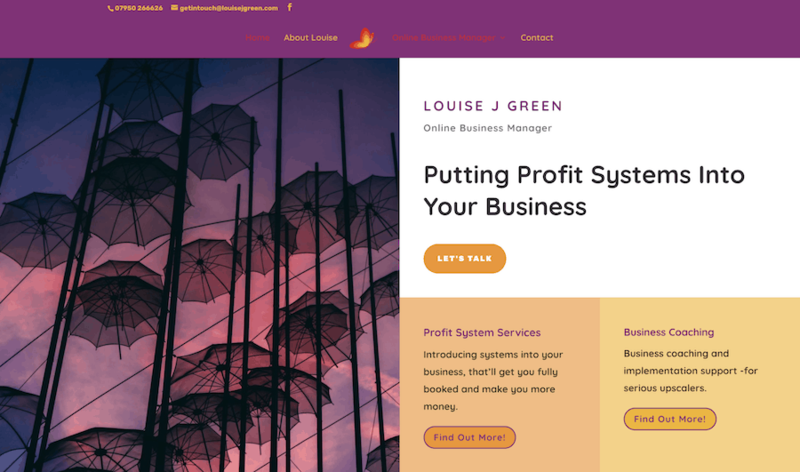 I never imagined I was capable of producing a website that is so wonderful to look at and also totally fit for purpose as a marketing tool for my biz. Working through the content of the course made me answer some questions that I needed to answer to shift my business to the next level. The course has turned out to be so much richer and value-add than I ever imagined. The content is excellent and Vicky is amazing in her consistent positive encouragement and wonderful weekly support. You want to be in complete control and be able to update your website as and when you want to and not be reliant on a web designer. I deal with all of the tech installations, and the stuff that confuses and frightens so many people, so you don’t have to worry about it. Vicky has been the most fabulous WordPress coach and has guided and supported me through every step of the WordPress Happy programme. Not only does Vicky have an in depth knowledge of WordPress she is also incredibly helpful and it felt like she was as excited about my progress as I was. I couldn’t have asked for a better person to work with and I’d absolutely recommend her to anyone who is looking for some marketing or website support. 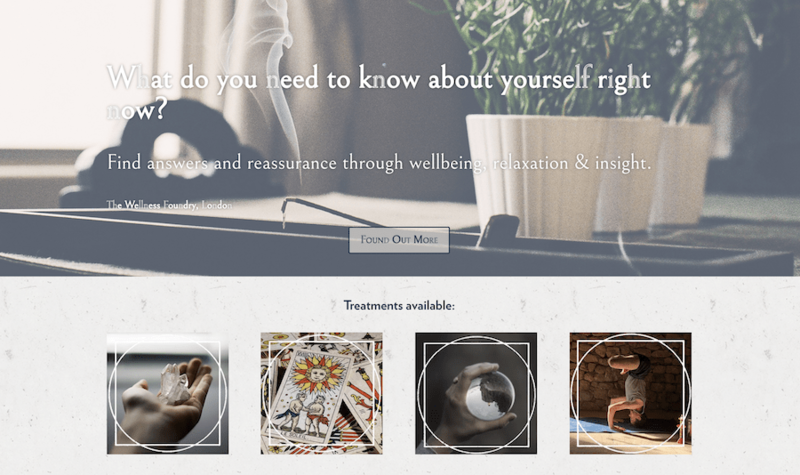 Fiongal created a fabulous website for his reiki, yoga and tarot offerings. 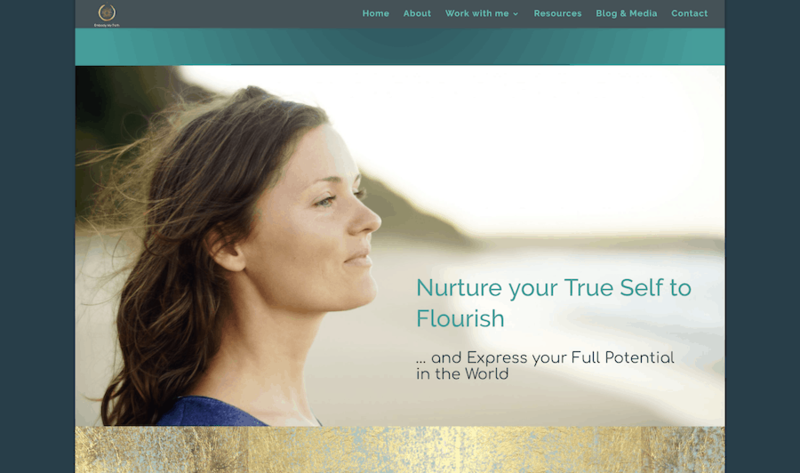 Delphine created a beautiful site for her psychotherapy and coaching services. 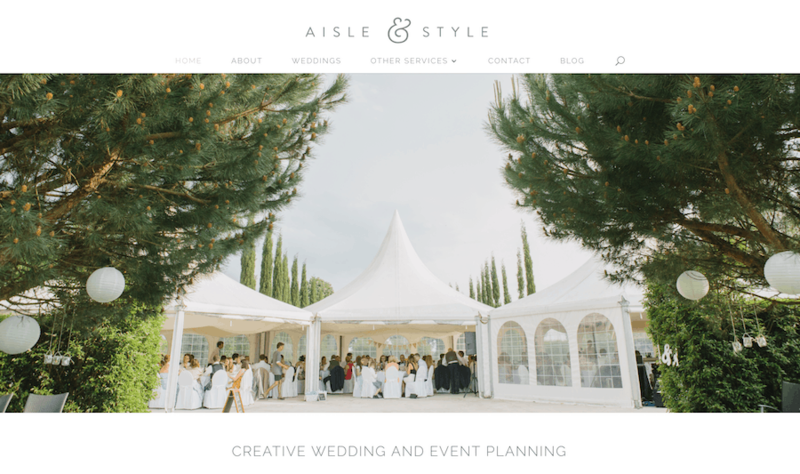 Alana created a stunning website for her wedding planning services. 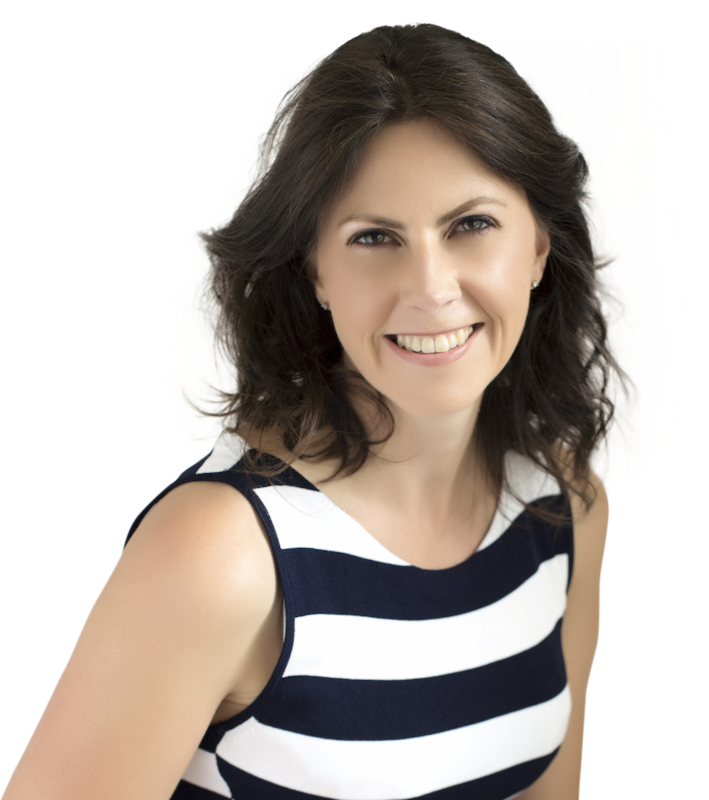 Claire created a stunning presence for her coaching and mastermind services. 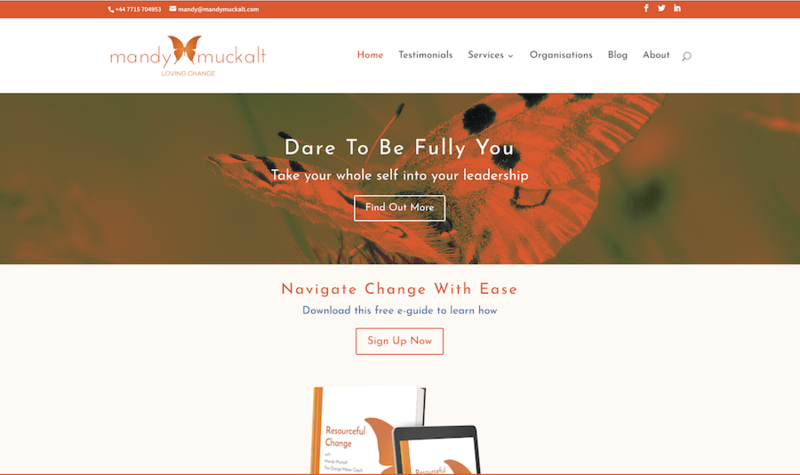 Mandy created a website for her leadership and change maker coaching. Anna-Louise, a self-confessed technophobe, created a fabulous website. 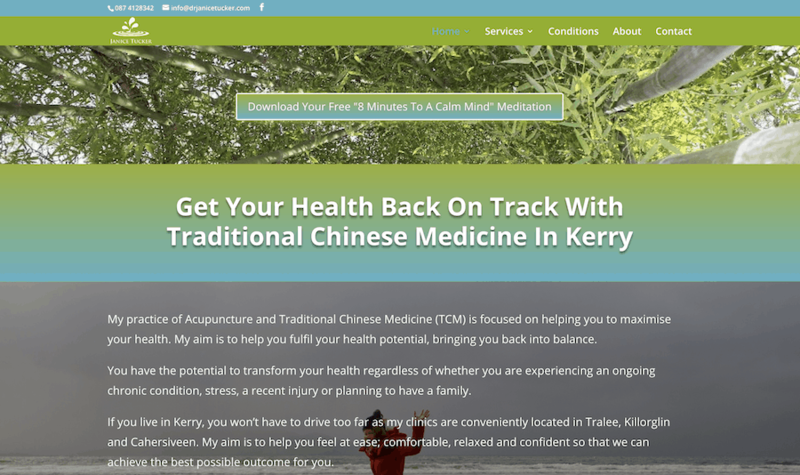 Janice built a fabulous site for her Traditional Chinese Medicine business in Kerry, Ireland. 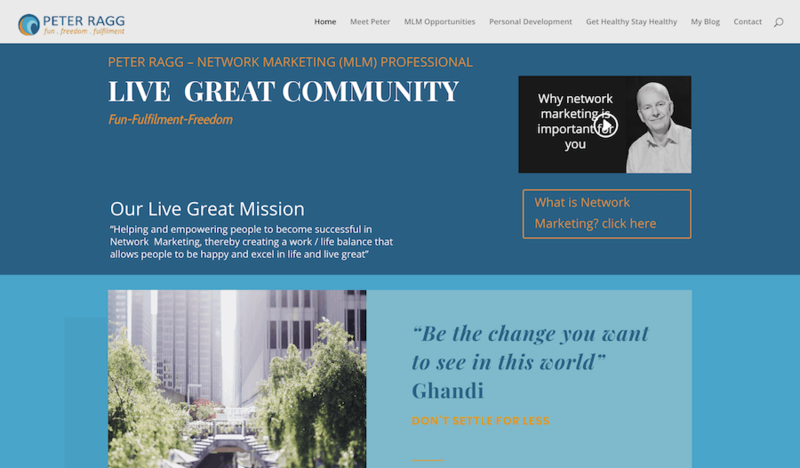 Peter is a network marketing professional and wanted a site so he could share his knowledge with others. Louise needed a site to showcase how she could help her clients get more visible online. My name is Vicky Etherington. I have over 15 years of experience in helping business owners build their own highly successful websites. My step-by-step, proven process has worked for hundreds of other entrepreneurs just like you, and I am there with encouragement, support and guidance by the bucket-load. I keep things simple with no overwhelming tech talk or jargon and I give you advice on what works and what doesn’t, so you transform your expertise into income. I literally hold nothing back. You will discover your true messaging, embrace and spread the word about who you are, what you do, and why you’re brilliant. You’ll also save oodles of time, save a lot of money and save your sanity too! Vicky is a wonderful mixture of professionalism, brilliant specialist and a calming influence who sees solutions where confusion and overwhelm could have reigned on many occasions. Her WordPress Success Bootcamp is a clear, logical step-by-step pathway to building a new fully functioning website and the ability to manage it confidently. Her client support is second to none and she is ‘never too busy’ to help untangle a question. 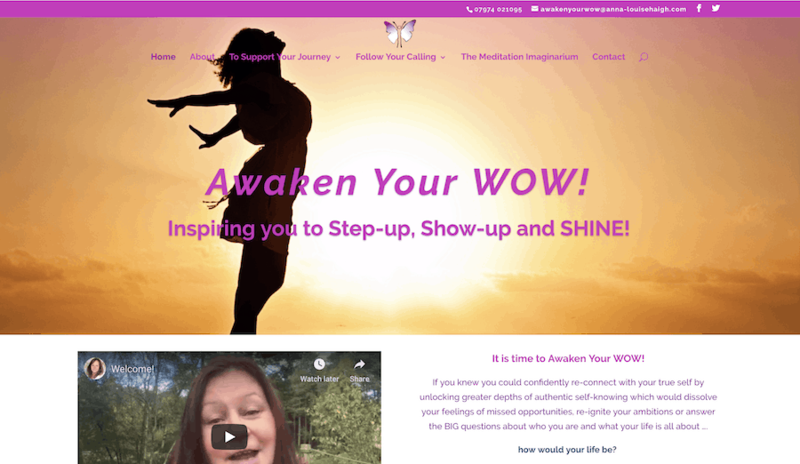 Spiritual and Personal Development Teacher and Mentor, Awaken Your Wow! You have lifetime access to the content so you can build multiple websites if you want to. How much help do I get from you? As much as you need. I literally let no one fall behind. We have weekly group coaching calls and you also have access to an exclusive support group where I check in several times a day to answer any questions. I’m completely vested in your success. Is the program just for coaches? I work mainly with coaches and therapists, but have had many other entrepreneurs work through the program, such as hairdressers, wedding planners, engravers, business consultants, network marketers and many more. I'm worried that I won't have time. Whether you create a website yourself, or have someone else create it for you, you will need to set aside time to write content, choose imagery and much more. The fact that you are creating it yourself means that in the long run, you will save yourself so much time (not to mention money) by implementing changes on your website yourself. The program is designed to be implemented as you go, and if you set aside one to two hours a few days a week, you should have no problem completing the program in 12 weeks. There are also 4 contingency weeks within the program in case you need time to catch up (I know how it is when life gets in the way). You have full access to the content, so if you want to steam ahead, you can. One lady completed the program in 6 weeks whilst working a full time job. As soon as you sign up for the program, you receive access to the tutorials. All the modules and lessons are available right away and you’ll be granted access to the Facebook support group soon after you sign up where I will fully support you. You also have lifetime access to the tutorials so you can take as long as you like to complete your website (or complete a second and third one later). This is a lifelong investment in up-skilling so you never need to rely on anyone else. It’s about showing up with your own energy in everything you do online. It’s about being empowered to understand everything about your website. These in themselves are priceless. Your investment in the program is just £2,400. You can choose to split the payments into 6 or 12 affordable instalments to spread your investment. Paying in instalments doesn’t increase the cost of the program. If you choose to pay in full, you will receive a professional holding page created by me so you have a page up and running within days of starting the course, so you can start driving traffic straight away, have business cards printed, and feel like a professional business from the outset.